Three-phase utility power produces three smooth sinusoidal waves which at any point average a sum of zero. This creates an optimal scenario with zero Common Mode. VFDs give off power in a continuous generation of pulses, which on average achieve a sinewave. However, the sum at any point is not always zero, which results in damaging common mode. This can cause motors to break down over time. The pulse of VFDs is not a clear square pulse. Each rise and fall of the pulse has an over shoot or transient over voltage. This phenomenon is also known as a “reflected wave.” These voltage spikes, especially in long cable leads, can reach dangerous levels and damage drives and motors. 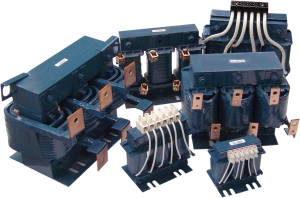 Modern VFDs utilize IGBT systems that create extremely fast rise times which can increase motor performance. This can also result in increased motor insulation heating, which can reduce motor life over time. RL reactors are unequaled in absorbing power line disturbances. They are built to withstand even the most severe power spikes. They reduce nuisance tripping, reduce harmonic distortion, and minimize long lead effects. 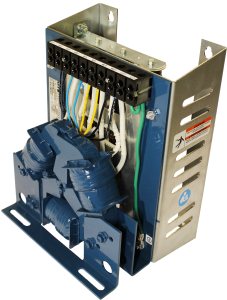 voltage, and reduce rise time – all in one unit.  This best-in-class filter delivers unequaled performance in cleaning the PWM waveforms generated by VFDs. 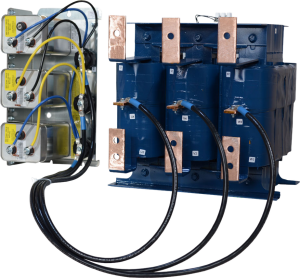 It virtually eliminates high frequency content and voltage peaks, thereby reducing motor heating to provide extended motor life – and less downtime.